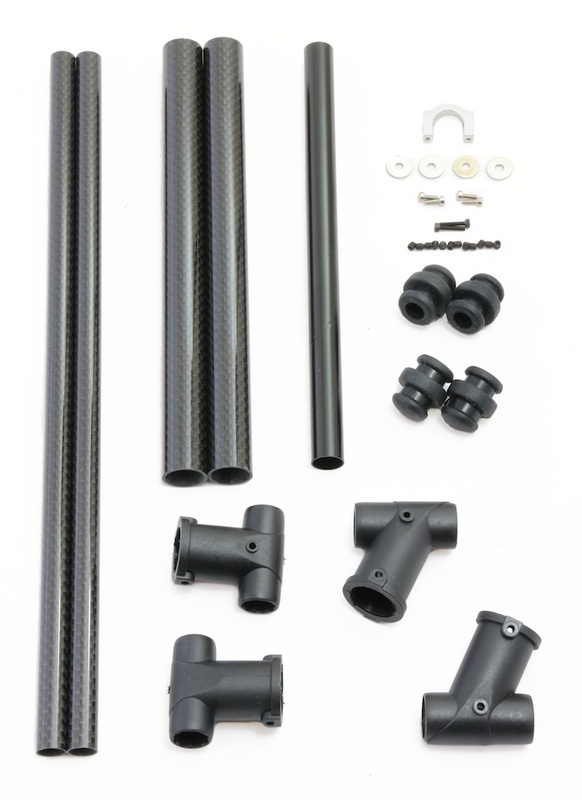 This carbon fibre landing gear is specifically designed for DJI Flamewheel type multirotor frames. It's very easy to assemble and comes with a fitting kit for the DJI F450 which does not require any drilling of the lower deck to fit. A taller landing gear comes in handy if you fly from fields with long grass, and If you plan on mounting a camera below your frame then this landing gear is an essential upgrade. It provides 20cm of ground clearance and has a width at the base of 30cm. The legs from the kit could even be used along with some servoless retracts (see 'related products') to make a retractable landing gear. Being made of mostly carbon fibre, it's of course very strong and lightweight at only ~90grams. Is the bracket shown in 3rd photo included? Hello, interested in this item. Is the bracket used to connect this landing gear to the quadcopter bottom board included? Looks like a aluminum bracket. (shown in 3rd photo). I'm also thinking about using 2 brackets to connect this to my quadcopter. Where can I get an extra bracket as well? Yes, the aluminum bracket is included. 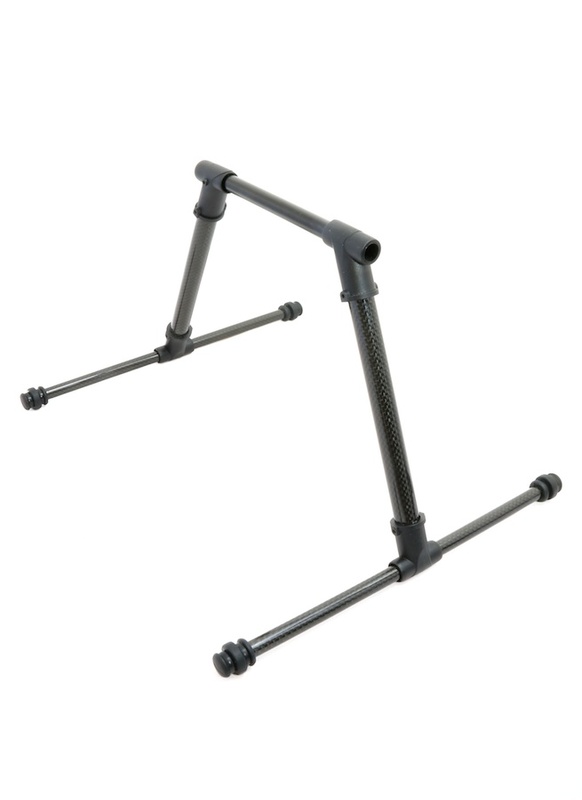 Unfortunately, only one bracket is supplied with the landing gear, if you needed two, I could speak to the manufacturer to see whether they could send an extra, but it would take around 2-3 weeks to arrive. please can you tell me what size/ spec the tubes are on this gear? This looks good but don't the screw heads on the base plate stop you from sticking the flight controller to the base. I am using the DJI flight controller and that is how you normally mount it.